Find out how we created a delicious reduced-sugar ketchup in the US. One of our global customers, a leading ketchup-manufacturer in the US, wanted to create a low-sugar version of their ketchup product line. They knew that to appeal to health conscious consumers, they would need to create a product with less sugar and more nutritional benefits, while retaining the taste that consumers know and love. The challenge was figuring out how to take out the sugar without losing the bulk. The customer turned to Tate & Lyle for advice on how to reduce sugar and retain the sweetness that is best associated with the popular table sauce. Our scientists at the Tate & Lyle Commercial and Food Innovation Centre in Hoffman Estates have at their disposal a wide variety of sweeteners that are optimal for lowering sugar in food and beverages. The challenge was figuring out how to take out the sugar within the sauce without affecting the overall bulk. Our R&D teams worked closely with the customer and recommended a solution with our MultiVantage™ Syrup. We explained to the customer that our MultiVantage™ Syrup maintains the texture, flavour and sweetness of glucose syrups, with 25% less sugar on the label. 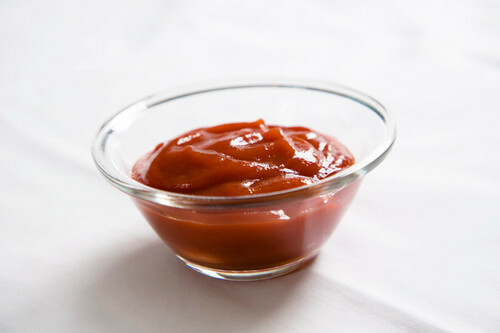 Not only were we able to create a delicious reduced-sugar ketchup, but also our customerwas unable to taste a difference between our prototype and their own product. Thanks to its optimal flavour, MultiVantage™ Syrup has enabled our customer to compete effectively within US soups, sauces and dressings market.